Is there a more commonly spoken phrase around this time of year? The promise of a real fresh start come January is as exciting for some as it is intimidating for others. This is particularly true in the world of fashion. ‘Best of Spring 2018' pieces covering the world's biggest fashion events start popping up everywhere, hoping to inspire people to dress boldly and confidently in the near year. Problem is, these guides have a habit of forgetting about larger people, especially men. On top of that, most of these new ‘trends', while popular on the Parisian catwalks, aren't designed for real guys at all. So, without further ado, here's our hot-take on our favourite trends for big guys in 2018. Your everyday look might be the most important - It's the clearest indication of who you are and what your style is all about. Whatever the occasion, fit and comfort are everything. If your outfit fits well, your body confidence is boosted and your overall look is enhanced. A classic sweater matched with a pair of well fitted blue, black or stonewashed jeans is a timeless casual look fit for any occasion. For larger guys, do not be tempted to buy sweaters a few sizes above your own – you don't need to disguise your shape. This will appear scruffy and disordered. Instead, go for the best tailored fit possible – you want your tops to frame your torso and compliment your shape. Finish off your look with a pair of smart canvas shoes, trainers or, for smarter trips, classic brown brogues, moccasins or dress shoes – always keep them shiny. Your outerwear choices should be a perfect blend of comfort, style, practicality and warmth. The colder months of late Winter and early Springtime are an ideal time to explore a great selection of outerwear options. One quite timeless trend which is once again making a return is the traditional but permanently fresh wool blend overcoat. This striking outdoor choice is more adaptable than you think, with a variety of colours, pocket and button combinations, and a suitable choice of lengths. It can be worn for occasions both formal and casual alike. 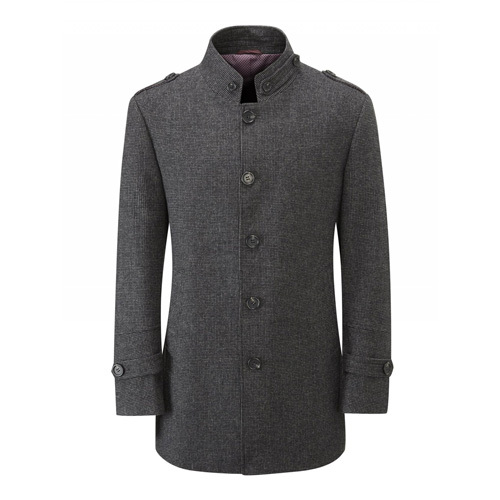 Most importantly, the woollen blend overcoat is our pick because it looks great on all body types and sizes. When it's time to dress up, make sure your style demonstrates freshness self-confidence, and coordination. Bigger guys can sometimes feel restricted when it comes to smart events – after all, what more is there besides a shirt and tie? A lot, as it turns out. 2018 is the year all big gentlemen should embrace the less-is-more approach to smarter wear. Life isn't a job interview at the local bank, so don't dress like it is. 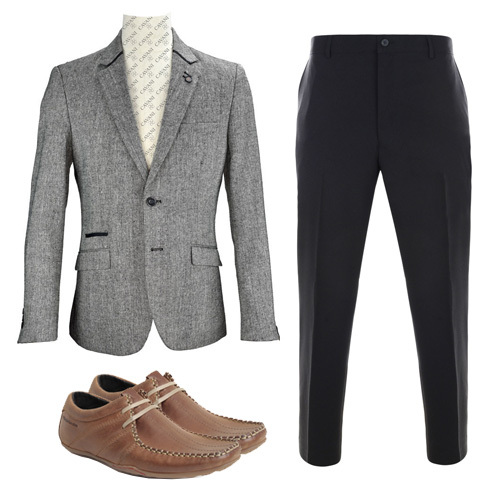 A real favourite of ours is a nifty combo of blazer, smart trousers and dress shirt. Try a tailored grey formal blazer with slim black trousers and a maroon or brown shirt. Top it off with your favourite watch and smart shoes, and you're ready to turn heads. As a man of action, let your energetic side shine through with a flexible, practical and stylish sportswear outfit. Retro sportswear style has seen a massive resurgence in popular fashion over the last couple of years, and as we approach 2018, it doesn't seem to be going anywhere! When dressing casual, consider a well fitted hoody, bomber jacket or zipper. Just like with sweaters, do not be tempted to oversize your purchase. Combine this with some well fitted joggers, jeans or, if you want to smarten up a little, tan or burgundy chinos. Finish the look off with your favourite trainers, the sportier the better! When it's time to ditch work and hit the town, make sure you stand out at the bar. A night out with friends is not a fashion competition, but you might as well win anyway. Make your look one that oozes confidence and style, but also personality and originality. Start things off with some fashion jeans, enzyme washed cords or slim fit chinos. We recommend staying clear from skinny jeans if you have a very large torso, as these can make your legs seem disproportionately small. Conversely, if your jeans are too baggy your legs will look bulkier than they are. Slim jeans offer the best of both worlds and compliment most body types well. As for your top half, there are really no rules. 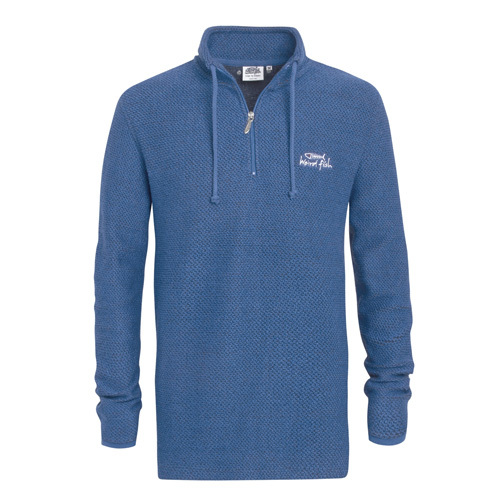 Plain or patterned t-shirts, long and short sleeved shirts, or even smart sweatshirts can be excellent choices for a night out. 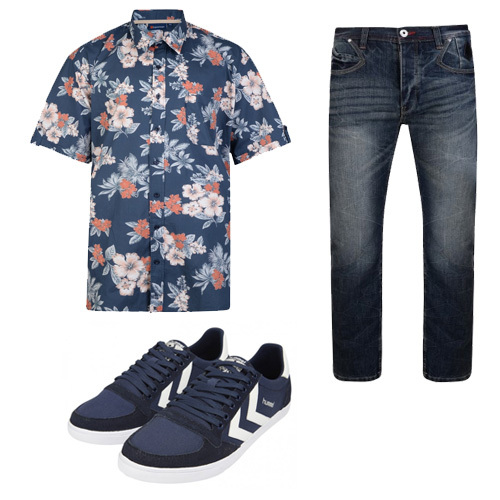 If you're feeling bolder, more striking shirts such as Hawaiian floral, paisley patterns and other vibrant designs are also very popular. Once again, the most important factors here are always comfort and fit. Dress for comfort and confidence, and you will always look better for it. So, there you have it gentlemen. We hope this blog helps you build some uber-sharp outfits in the new year and beyond, whatever your shape or size.